Our trip to Costa Rica has come to an end, and sadly, it ended with one of the best weeks of birding in the entire year. We spent to bulk of the week in the San Isidro El General area, staying there as well as up in the Quizarra area. We had three nights in The Birders Retreat Air BnB, two nights in San Isidro proper, and then back to Quizarra to stay at the Valle de Luna BNB for our last night. 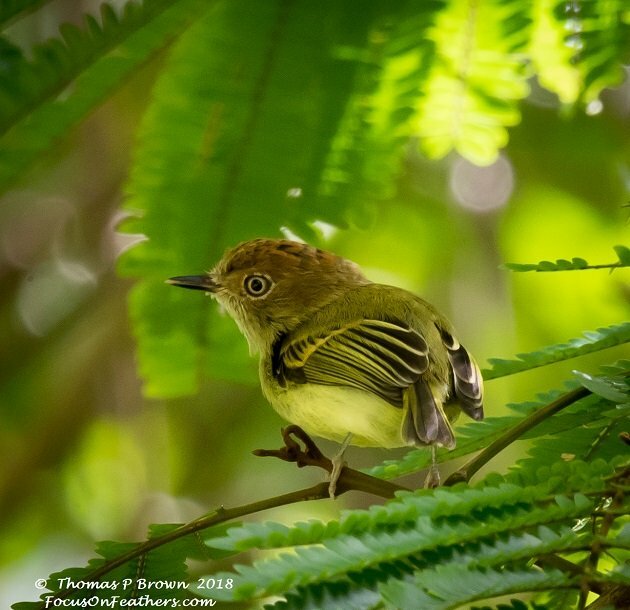 There is no way this week could have been as excellent as it was without a huge amount of help from the Costa Rica Birders and their “network”. I have to send out a huge Thank You to 10000 Birds Beat Writer in Costa Rica, Patrick O’Donnell for all his help in our planning as well as providing some amazing contacts. When one of our Air BnBs had a schedule change at the last minute, he got us in contact with Susana Garcia Blanco, the absolute “go-to” person for that part of Costa Rica. Not only is she a guide, but coordinates lodging, additional tours, information, and is just an all around very cool lady. 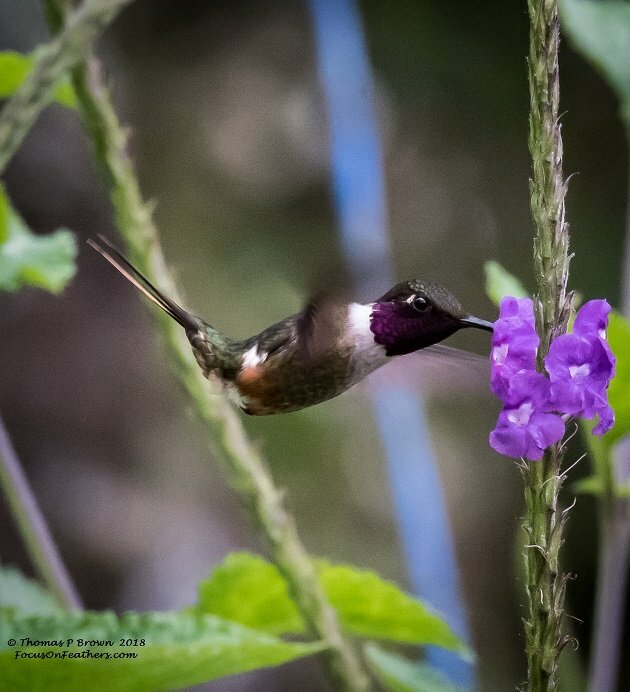 Her home, which is part of the Costa Rica birding B&B network, Casa Cotinga, was just half a mile down the road from our Birders Retreat Air BnB, all of which was located in the Alexander Skutch Biological Corridor. This is a protected area that includes the Los Cusingos Bird refuge, where we were guided by Andres Chinchilla, a young man who as a child ran around the farm where his family worked, and was to become this incredible bird refuge. His years of experience in this area were quite obvious as we found 62 species in one morning. 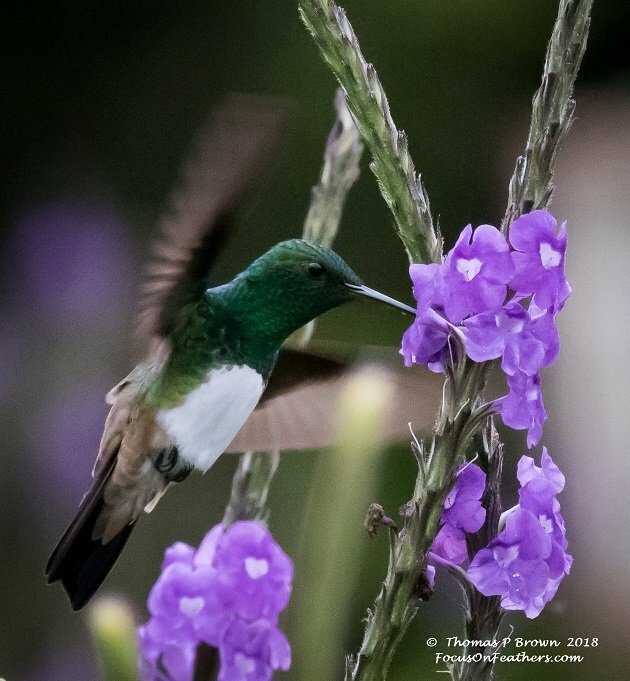 Our first day with Susana Blanco, we were introduced to Chris Fischer, birder extraordinaire, who was working his way thru a Costa Rica Big Year. He joined us for a couple of days worth of exploring and with the depth of his knowledge, and the fact that he is just a great guy to get to know, was a big part of making this last week so much fun. This area was also home to the Los Nubes Project area, where we tracked down several birds from my wish list. Here is a link to the projects website, sponsored by York University. 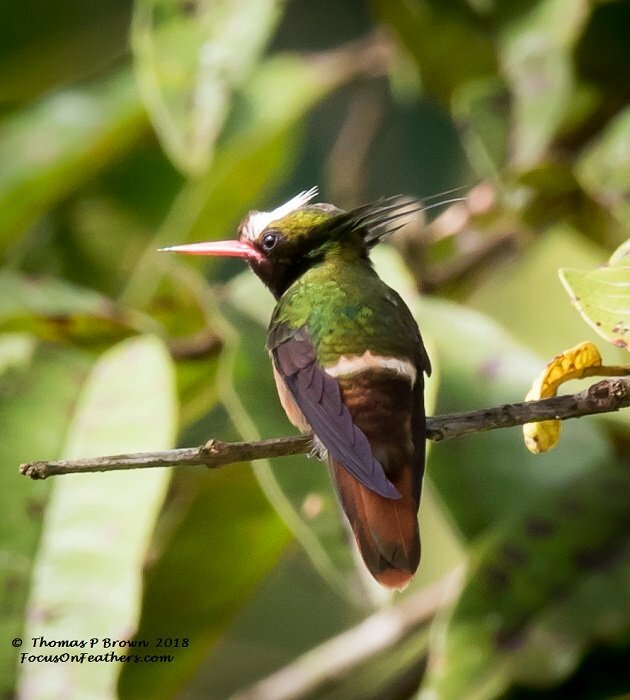 At both Chris and Susana’s recommendation we traveled up into some of the higher elevations to visit the Bosque Tolomuco, a privately owned bird retreat, and lodge that the owners, Rolf and Lise have built into one of the premiere birding hot spots in southern CR. For more information you can find their website here. We wrapped up the trip with our last day birding, sadly on our way to San Jose and the airport, with stops that Susana helped us to coordinate, at Paraiso Quetzal Lodge, and at the newly created Casa Tangara Dowii Reserve. Jorge, a third generation family member of the Quetzal Lodge, gave us a brief run down of the history, as well as the story of the cooperation of 23 local farmers who are working together to provide excellent habitat, and amazing birding opportunities not only for the Resplendent Quetzal, but a wide variety of higher elevation bird species. 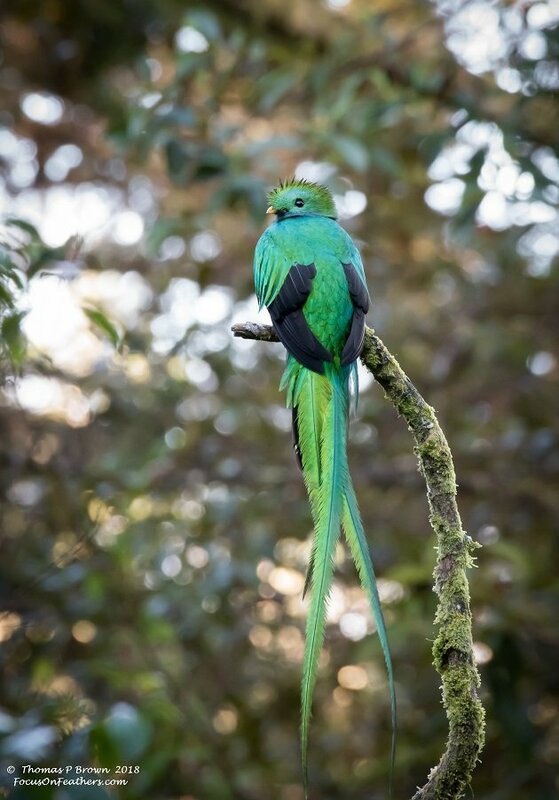 I am saving the quetzal story for the end of this posting. 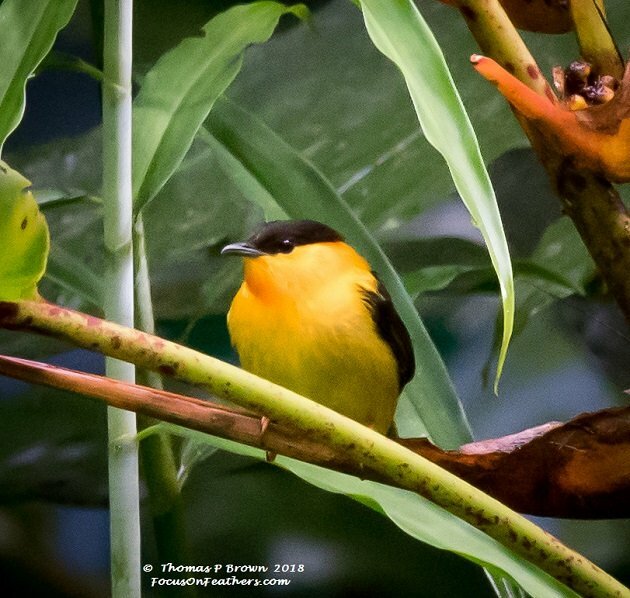 Sergio and his family have recently begun to establish Casa Tangara Dowii Reserve in what will be an excellent location for mid to upper elevation birds. 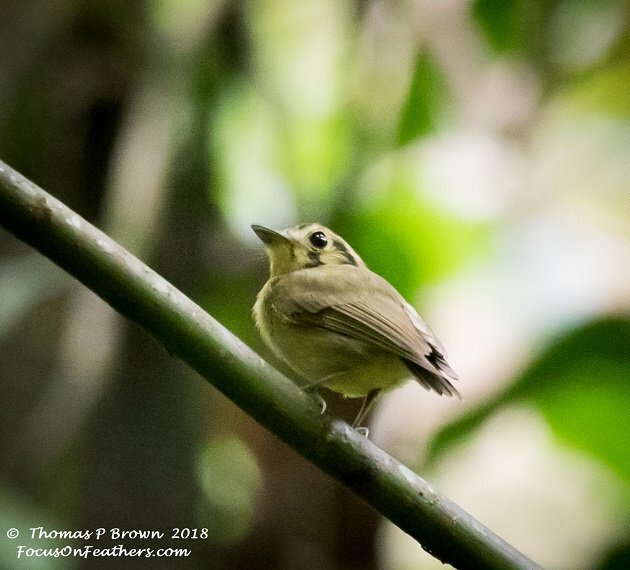 Unfortunately we had really run out of time, and were only able to spend about an hour here, but as our last spot, it turned up five more new species, which put our Costa Rica species list at 351! Given rain outs, and travel time, we figure that we birded for 16 days, which figures out to be 22 new birds every day. There are certainly things we would change, a couple of places we learned about while in country that would have been excellent to visit, a couple of places we traveled to that we will pass on next time, but all in all, this was everything that I had hoped Costa Rica might be, and more. The number of photos that I was able to get taken is over whelming, and just as hard is trying to pare down what to show here in my story. The final week was so very special to me, not only in terms of the birds, but the people, that locations and Costa Rica as a whole. So, with that in mind, I am just pulling some of my favorites from the last week, with a special section at the very last! This week provided a great number of hummingbirds, much as I had hoped for. 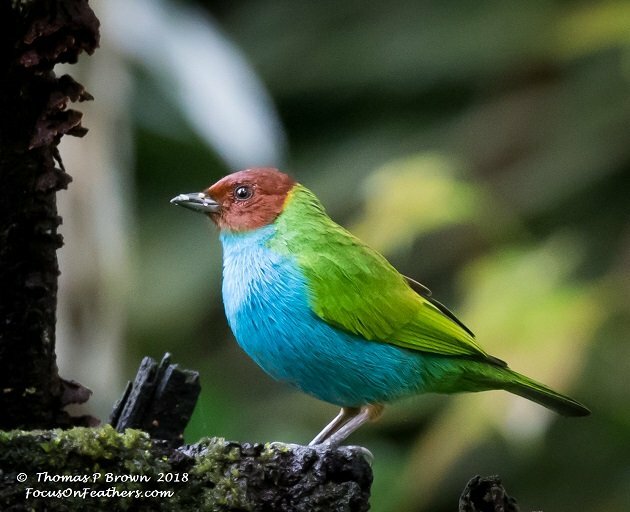 Bosque Tolomuco and Paraiso Quetzal Lodge were the two best spots for these beauties! The White-crested Coquette which is also feature at the top of this story. The Violet Saberwing was a repeat from our first couple of days. This Snowy-bellied Hummingbird was a real treat to track down. I wish I had gotten a better picture of this Purple-crowned Fairy, but it just never came out of the flowers. I only got to see one Magenta-throated Woodstar but they are such beautiful birds. 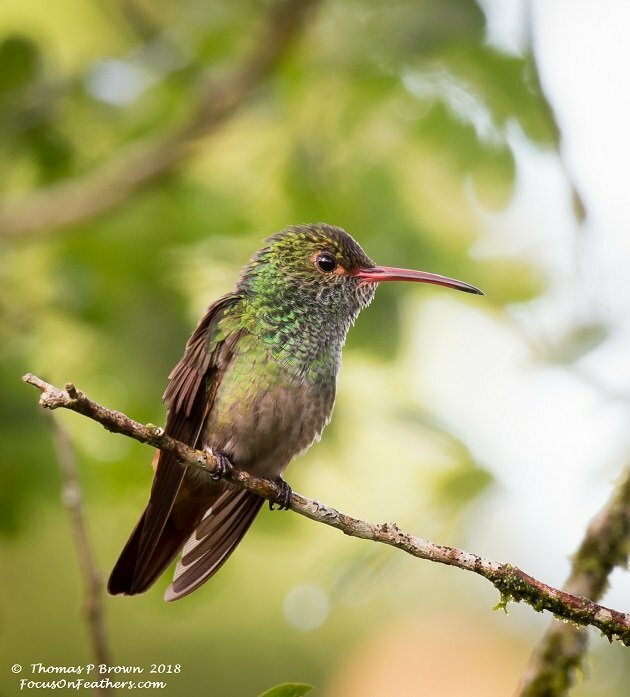 Another higher elevation bird was the Rufous-tailed Hummingbird. 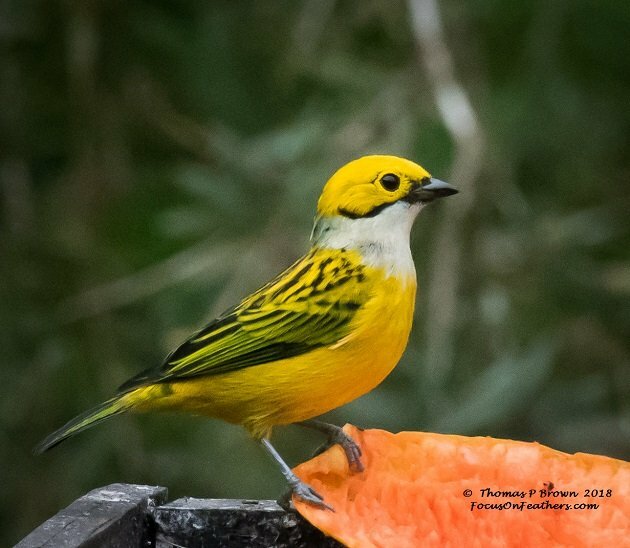 Costa Rica has a very large number of tanagers, both resident, as well as migrant birds. 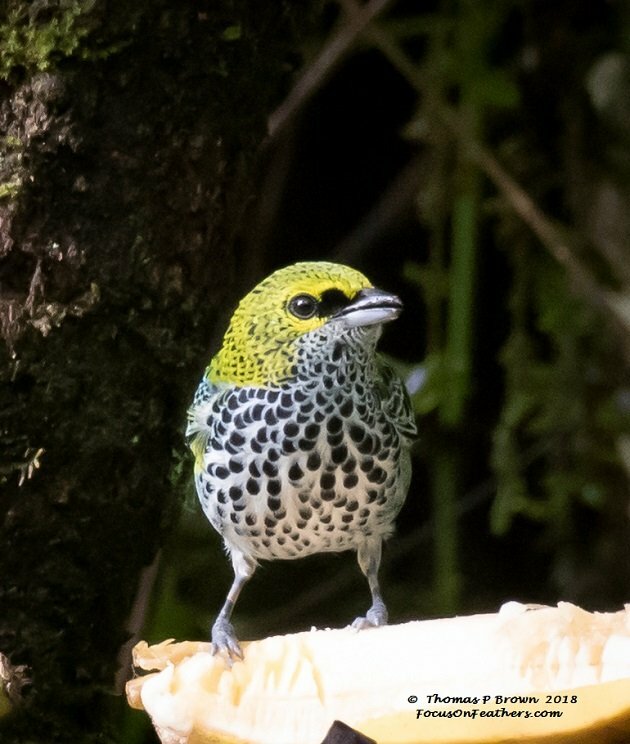 None can be as spectacular as the Speckled Tanager. Another bird that lives in the higher elevations is the Sliver-throated Tanager. 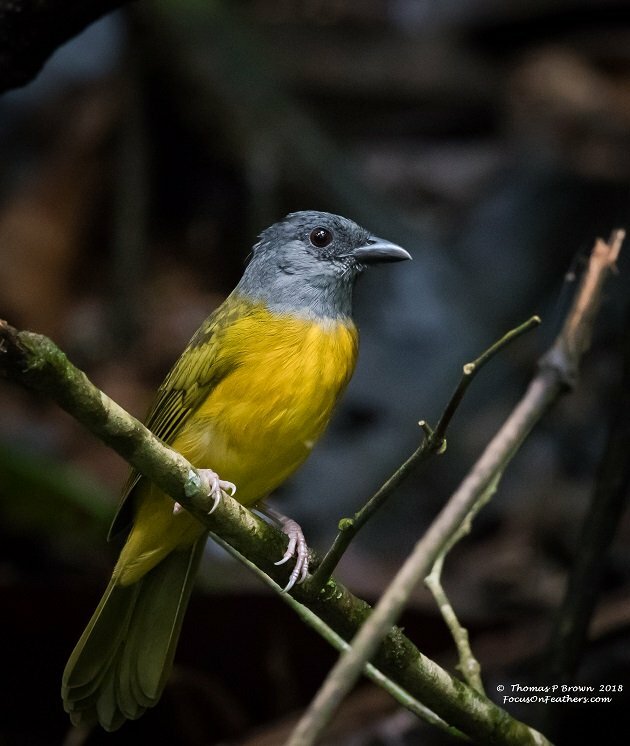 I actually got to see a several Gray-headed Tanagers, but this bird posed so nicely when it was found near an ant swarm. These were my first Bay-headed Tanagers. 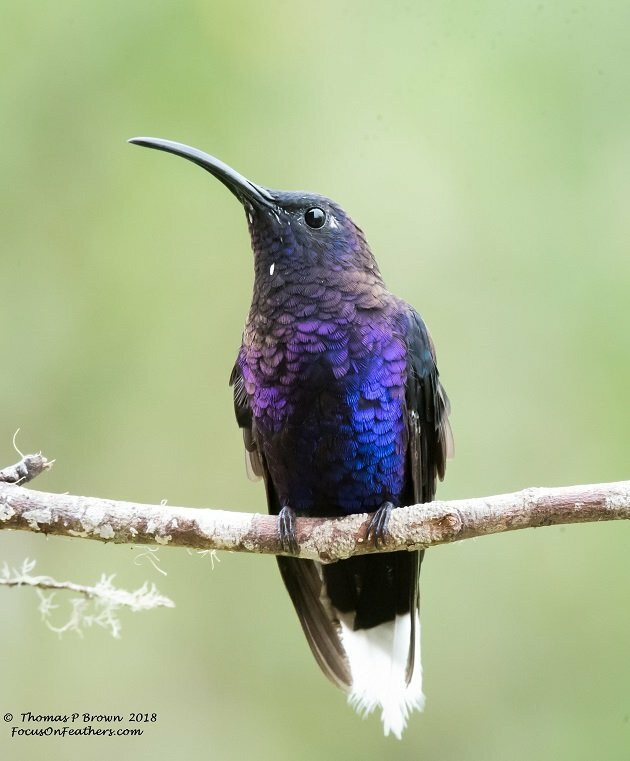 Costa Rica has a good bunch of birds that all have “Ant” in their name, due their reliance on the ant swarms that occur. They also live in the dark, dense, shaded foliage that does not provide many photo opportunities. 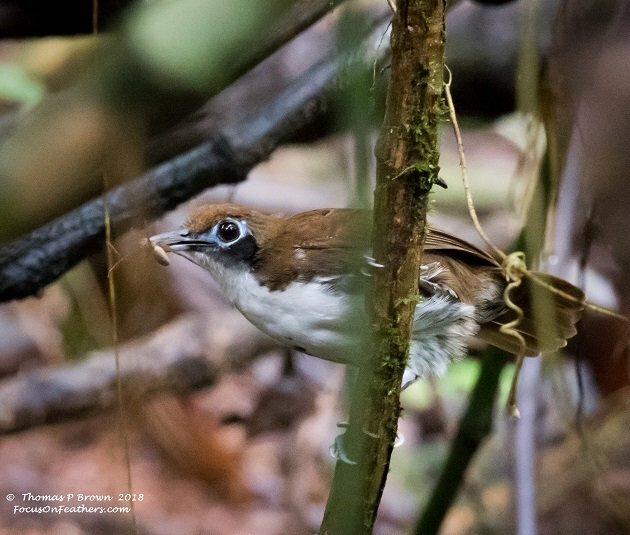 I was very happy to see this Bi-colored Antbird out in the open for a shot. 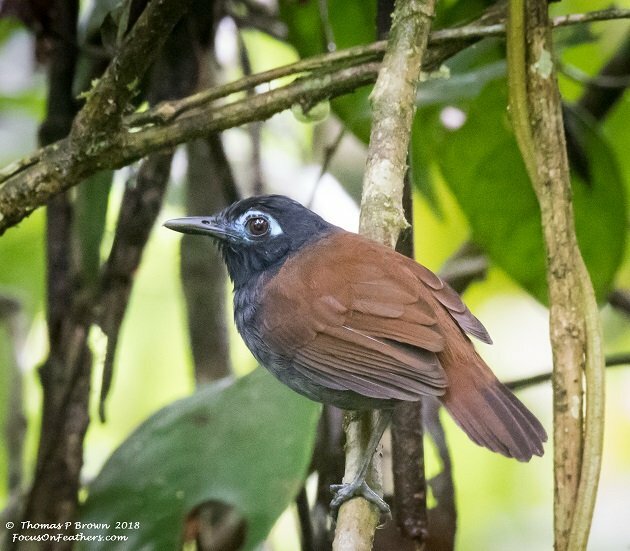 This is the Chestnut-backed Antbird. The various manakins also provided their photographic challenges. 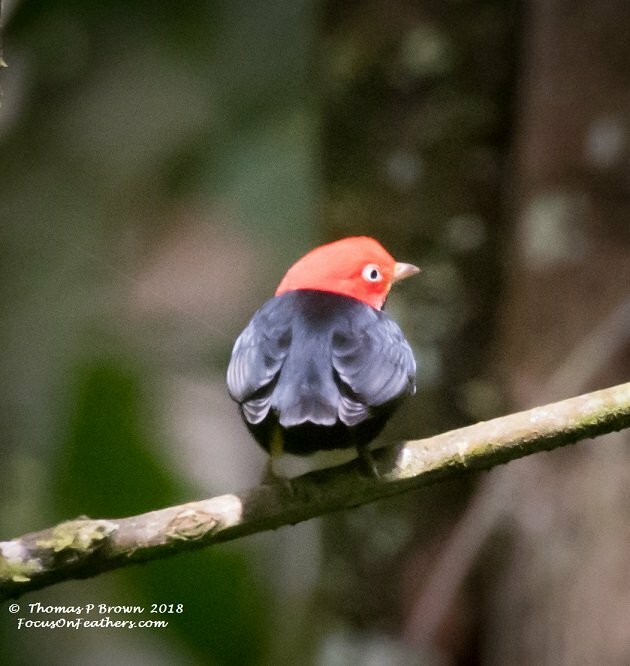 Like this Red-capped Manakin that refused to turn around. This Orange-collared Manakin was a little bit more cooperative. With out question, I am sure I worked harder to get the following photo than any other bird this year. The Gold-crowned Spadebill is not only very small ( 3 inches, or 8 CM. ), flies very fast, and lives in the dense, dark understory of the canopy. Low light, high ISO, and slow shutter speeds make this shot a proud moment! 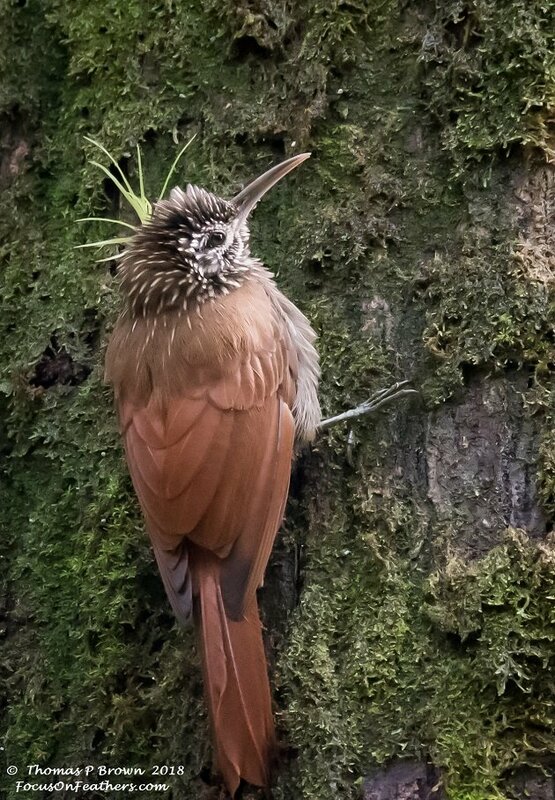 While I was able to locate 12 birds from the woodcreeper family, this Spot-crowned Woodcreeper shot is one of my favorites. 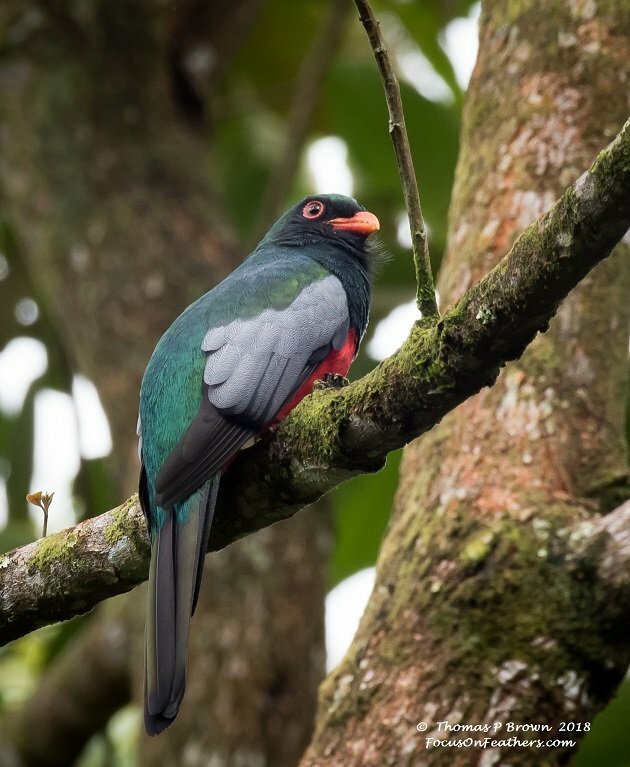 This is the Slaty-tailed Trogon, that was hanging around behind our casita at the Birders Retreat Air BnB. The patterns that are formed on wing secondary’s is just amazing. 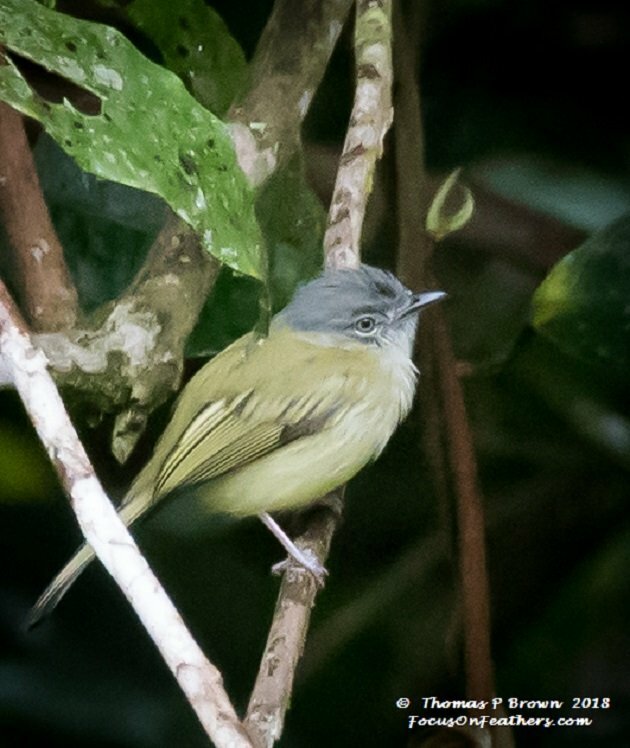 Another great capture, on a rainy morning, was this Scaly-crested Pygmy-tyrant. 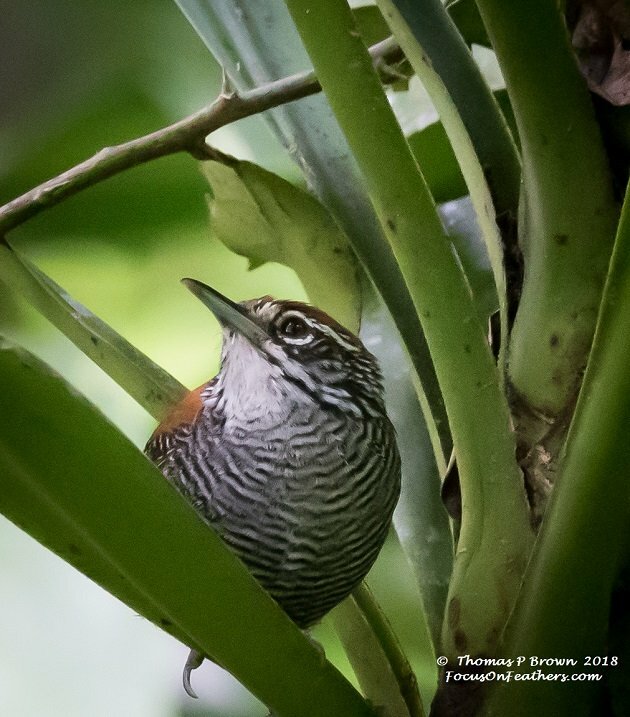 Most wrens around the world all have huge voices for such little birds, and right there with the best of them is this Riverside Wren, who really belts out a song! 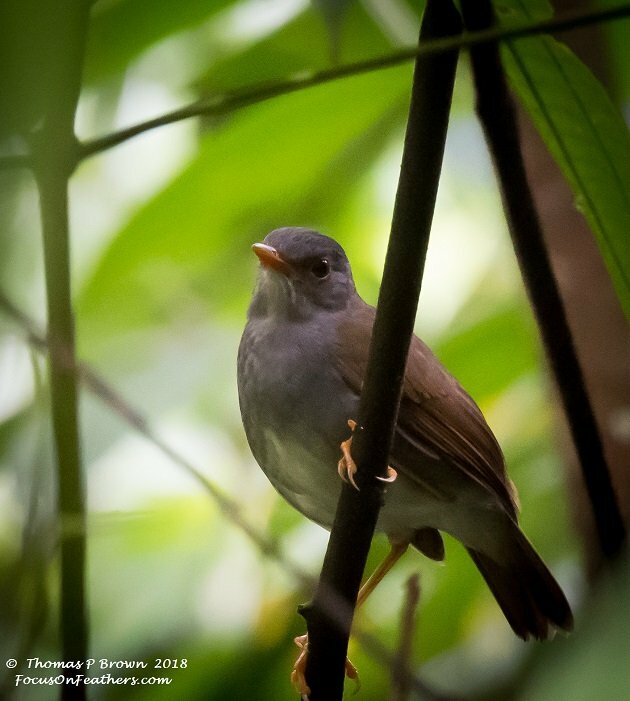 About the size of our American Robin, this Orange-billed Nightingale-thrush is another bird that is found down in the lower parts of the ground cover. I got caught out in a nasty rain storm, on an early morning hike all by myself, but the trip was redeemed by getting this shot of a Lesser Greenlet. 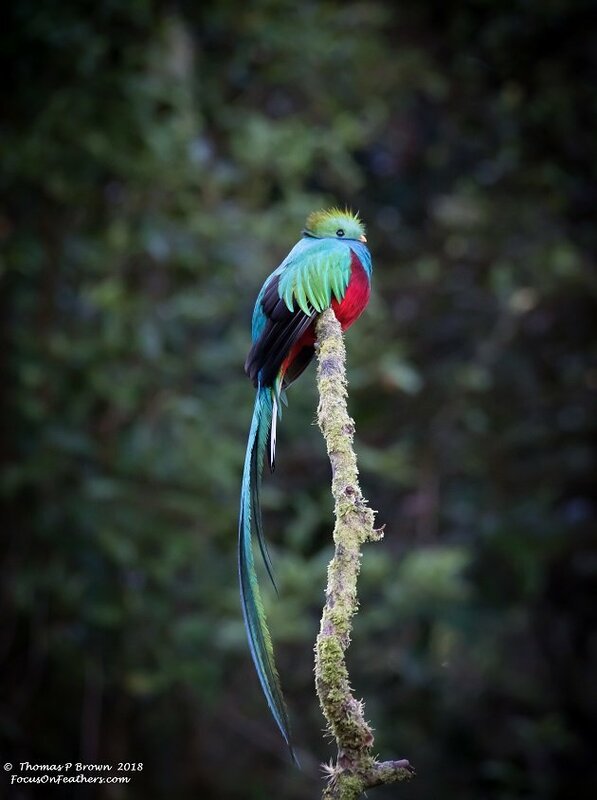 For those of you that made it all the way to the bottom of this rather lengthy posting, I am so very excited to show off my images of what I am personally referring to as the Holy Grail of my Costa Rica Trip, the Resplendent Quetzal. In order to make it to the Paraiso Quetzal Lodge in time for our 6:00 AM time with Jorge, we needed to be up and on the road by 3:00 AM! 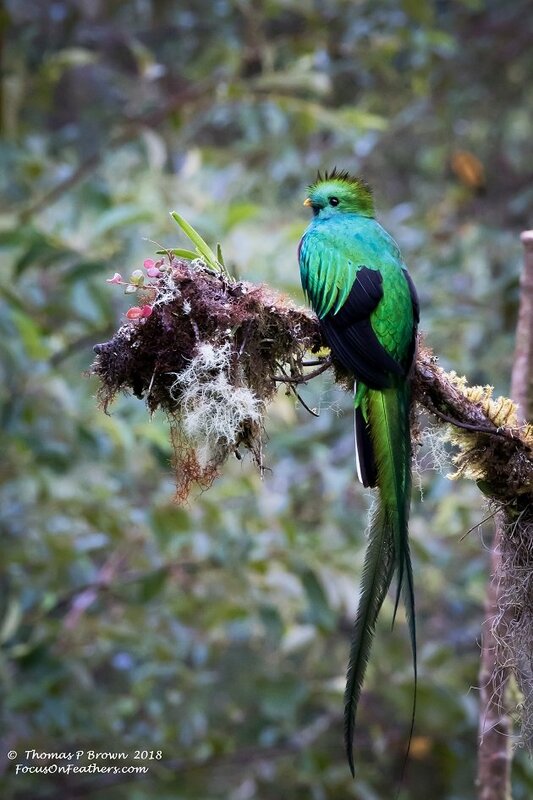 This was all in the hopes that on our last day, last hours to bird in Costa Rica, we could find a Resplendent Quetzal. The cooperative that has been formed by the Paraiso Lodge, the local farmers and the conservation groups in this area all paid off. The call came in, there was a bird spotted, and off we went, in search of the Holy Grail! As you can see the bird was sitting on a small mossy covered dead tree, in the middle of a clearing. I have to admit, I almost froze up and just stared at the bird. This is one amazingly beautiful bird. I shook off my moment of awe, and got some photos. Below are a few of my favorites from that spectacular birding moment! A close up profile shot. Look at that tail! This male bird is just about as good as it can get for a photographer like me! Here is a full on back shot! This is my favorite of the day, the week, the whole trip! 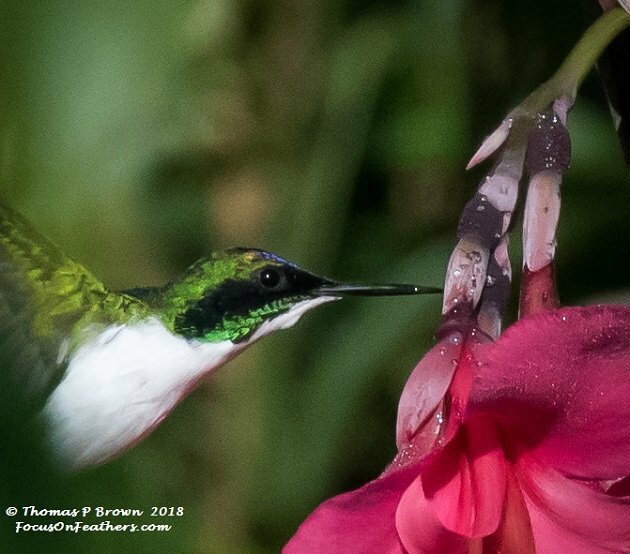 Costa Rica, I thank you, your birders, and your birds! 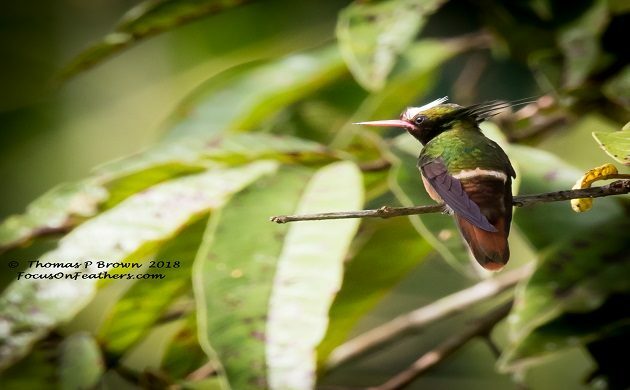 Costa Rica was a good addition to your little birding adventure in 2018! Congratulations on those fabulous photos of magnificent birds. 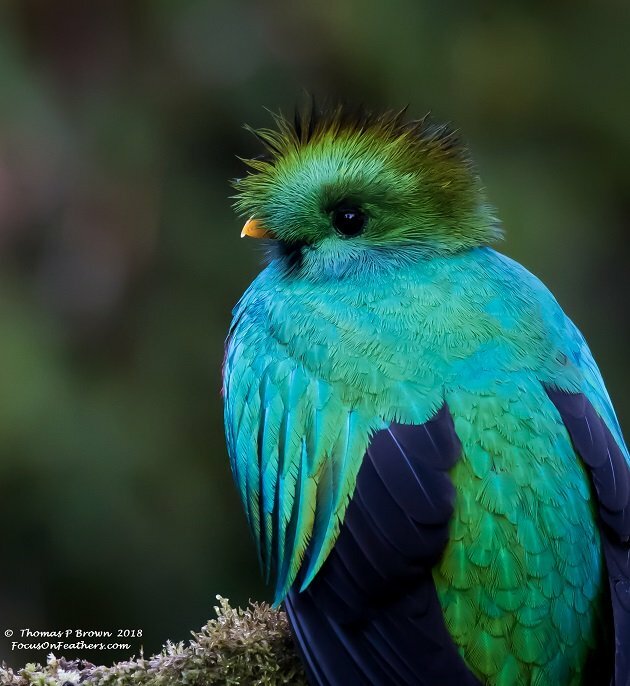 And the Resplendent Quetzal images- Wow! Really nice images especially that quetzal! Really happy to see that the trip went well. Some pictures for the wall there!